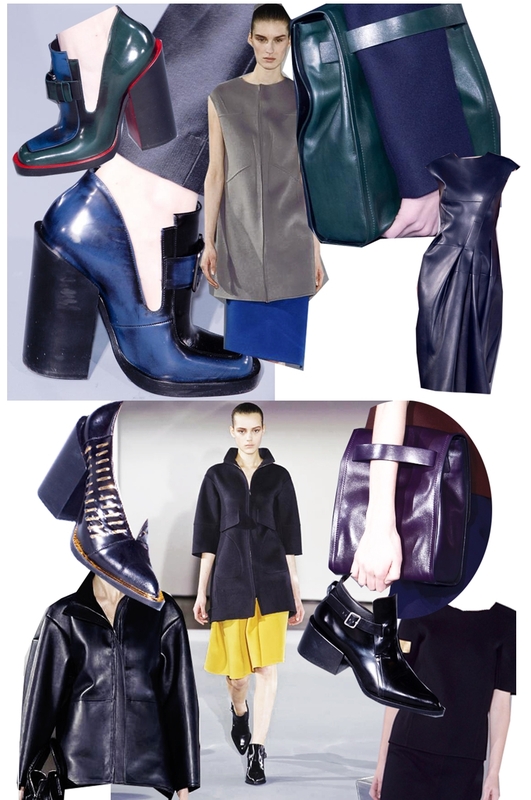 I need the color palette of JIL SANDER.. the deeper side of the color wheel was strategically mixed beautifully. it always becomes a hit when JIL dictates what color is really happening right now. she made me want a burgundy pants last year.. an electric blue coat and a pink tank top. .
oh i need a forest green something right now!!! >>I reckon the shoes are so painful when worn but pain has always been equivalent to beauty.